Apartment 50 m² in a small residence on the 1st floor - 500 meters from the town center and the gondolas, 5 minutes from the slopes by car. All shops. Ideal 4 beds (possibility up to 6 beds). Splendid view on mountain and valley. Fully equipped kitchen, fridge, oven, microwave, Dishwasher, TV, Bathroom with washing machine. Iron and ironing board. Terrace, garage. Apartment renovated with electric heating, sunny. Possibility to provide linen and towels on the spot (to see with the person who will give you the keys). Apartment located in Font Romeu, shuttle for slopes or Tele-cabins, close to shops, very nice view on valley and Mountains. 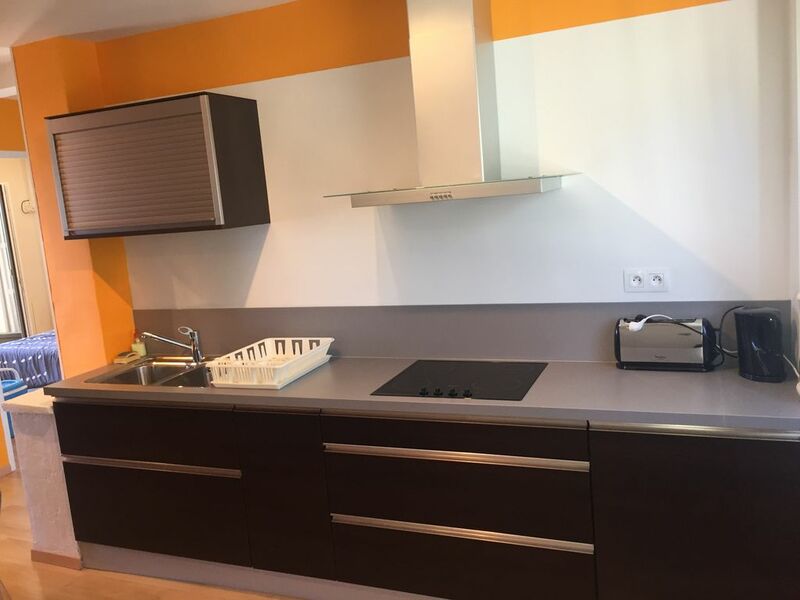 location idéale pour 4 personnes, appartement spacieux et très bien équipé, propre, accès facile aux nombreuses sites; propriétaire disponible et accueillant. Recommandé+++.